Oxnard, CA –July 18, 2018—Davin, Bob, Tom, Chris and Michelle attended CONNECT2018, HD Vest’s annual national conference. HD Vest Investment Services®, the leading independent broker-dealer empowering holistic wealth management-based investment services, hosted more than 1,200 advisors, exhibitors, and other partners as part of CONNECT2018, which took place in New Orleans, from June 25 - 28, and highlighted HD Vest’s unique focus on supporting independent Advisors who integrate tax solutions with financial services. 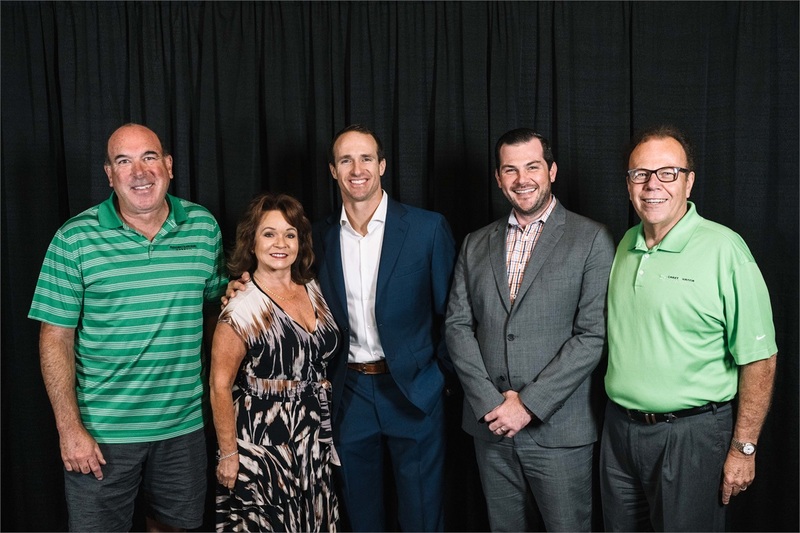 CONNECT2018 provided one-of-a-kind opportunities to network with thought leaders from across the industry and included a New Orleans-themed line-up of speakers and entertainment, including The Preservation Hall Jazz Band, Walter Isaacson, and Drew Brees. The event also included interactive educational workshops and breakout sessions to discuss some of the latest ideas and solutions to help advisors revitalize the client experience. “It was an honor to attend CONNECT2018. I found the event to be an invaluable resource for networking with peers from around the country and learning firsthand from HD Vest executives and industry experts. We shared best practices related to the successful integration of tax and investment advice, as well as previewed the exciting opportunities and technology coming to our firm in September,” said Davin. HD Vest Financial Services® is the holding company for the group of companies providing financial services under the HD Vest name. Securities offered through HD Vest Investment Services®, Member FINRA/SIPC, Advisory services offered through HD Vest Advisory Services®, 6333 N. State Highway 161, Fourth Floor, Irving, TX 75038, (972) 870-6000. P.S. Check out this very cool highlight reel from the conference! Davin has a cameo!